Penstocks are used in water control Systems. Penstock Valves WA-PRA-G units have a vertically sliding door to close a round or square opening. Applications include water containment levels, flow control in sewer systems, waste water treatment plants and settling pond water level control. Standard water head pressure is 5 meter water column on or off seating. Higher pressures are available on request. Penstocks materials are combination of HDPE and 316L stainless steel. WA-PRA-G HDPE Penstocks are control gates that regulate water flow. They are used for blocking or controlling the flow through pipes and channels. 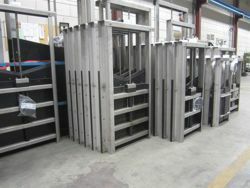 Penstock gates are available in many sizes. They meet pressures up to 16ft. (5 meter) water column both on - and off seating. 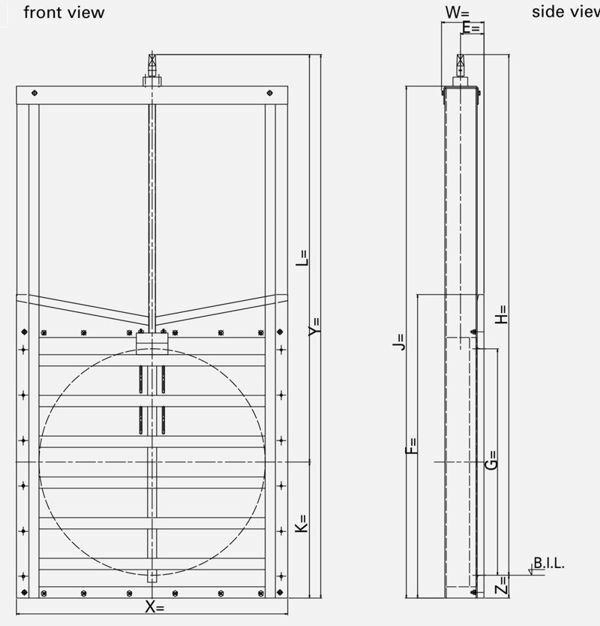 Penstocks can also be supplied for rectangular openings, with or without a flush invert bottom. Wall smoothness before installation is important to obtain the best watertight properties. After installation, no wedge adjustments are needed.